"His name probably isn't misleading." Another Tarly will be coming to Game of Thrones next spring. According to EW, UnREAL star Freddie Stroma has been cast as Samwell Tarly’s brother – Dickon Tarly – in Game of Thrones season 6. 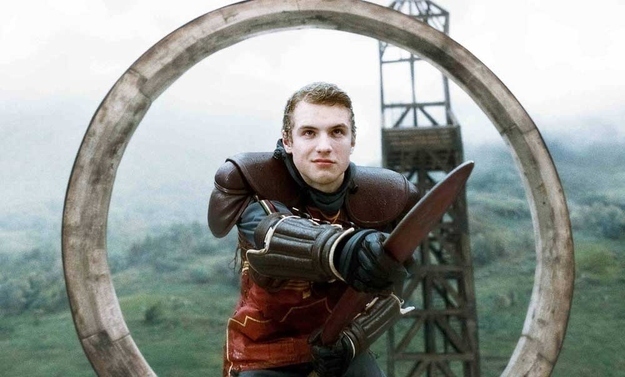 [caption id="attachment_74312" align="aligncenter" width="610"] Freddie Stroma as Cormac McLaggen in Harry Potter and the Half-Blood Prince. (Image via IGN. )[/caption] From the George R.R. Martin novels and TV series, we know that Dickon is the more physically capable younger brother favored by their father, Lord Randyll Tarly. Not only that, but Tarly Sr. is actually the one responsible for Sam being stationed at the Wall, as he forced Sam to choose between death or the Night’s Watch so that Dickon could be his heir instead. Sam was last seen leaving Castle Black with Gilly in order to become a maester, but the appearance of Dickon (and likely Randyll, as well) will surely present some kind of obstacle to this goal. The show previously cast Ian McShane in a mystery role, Pilou Asbæk as Euron Greyjoy, and Max von Sydow as the recast Three-Eyed Raven, indicating the showrunners have no intention of downsizing the cast of Game of Thrones, but time will tell if this makes for a better season of television after the divisive and controversial season 5. Stroma can be seen next in Michael Bay’s 13 Hours: The Secret Soldiers of Benghazi. Featured image via EW.